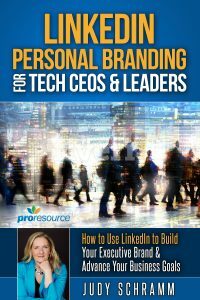 What do you want people to do when they check your LinkedIn profile? Hire you? Connect with you? Of course. Yet most LinkedIn profiles read like “Here’s what I’ve done and why I’m awesome.” It leaves your target audience thinking: Well, yippee for you, but what can you do for me? What’s your story? What makes you different from all the others who do the same thing? Your answer to these questions belongs in one of the most important sections of your profile, the Summary. 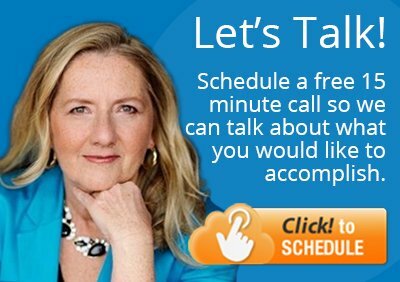 This tells your professional story without all the dull dates, titles, locations and bullet list of accomplishments. That’s already covered in the Experience section. The Summary gives you the opportunity to write a narrative that reveals your personality as you highlight what you do, who you are and what you can do. When your personality shines, it makes you memorable so you stand out. Here are eight tips to tell your story to compel people to take the action you want. 1. Write in the first person. Celebrities may get away with talking about themselves in the third person, but most of us can’t. Besides, writing in the third person sounds standoffish. Many fall into the trap of talking about themselves and their companies because they identify closely with their company. So stick with the first person – “I want,” “I believe that” – without switching to “we” in your summary. This is the time to make it about you, the person. People can visit your company’s website and other resources to get more information. 2. Apply keywords … carefully. Although keywords bring searchers to your profile, the summary needs to flow naturally. A good way to do this is to draft the summary without a care about keywords. Write what you want to say while applying the other tips. Tweak it until it’s right. Then do a review to check your keywords and fix as needed. First drafts written with keywords in mind come across forced and robotic. While keywords matter, you don’t want to turn your summary into a dictionary of careers. 3. Use text formatting to improve readability. While you can’t use bold or change the font size, you can use ALL CAPS as headers, asterisks or dashes as bullets and lines and symbols as separators. Beware that symbols like ???? can be a turn off for some people. Think if you only have five seconds to tell your story, what would you say? That’ll be the part you want to cover first. It may buy you another five seconds, so what comes next? This method ensures you cover the important points from most to least. If you’re stuck, try the PAR formula: problem, action and result. 5. Make it the right length. LinkedIn gives you 2,000 characters for the Summary. So how long should it be? Some say use up every single character. Some say 200 words. Still others say 100 to 300 words. By the way, it’s possible to hit 2,000 characters with 300 words. Take whatever you need to tell your story and end it with a call to action (CTA). A CTO and former developer only has one sentence, but it works: “Making great software products millions of people use and love.” It’s clear the CTO is passionate about software. He could say more. Maybe he’s a person of a few words. 6. End with a call to action. What do you want the reader to do? The person may not be ready to contact you, so consider smaller steps that require less commitment. Examples: Sign up for the weekly newsletter for valuable advice on ABC, visit the blog for advice on ABC or ask questions in the LinkedIn Group or Facebook page. 7. Avoid buzzwords, jargon and tired clichés. Here are the 10 most overused buzzwords in the U.S. in 2012 provided by LinkedIn: creative, organizational, effective, motivated, extensive experience, track record, innovative, responsible, analytical and problem solving. Show instead of tell, and spell out information. Use “10 years of doing XYZ” instead of an empty phrase like “accomplished professional” or “experienced professional.” Drop the overused “team player” and tell a story that shows how you worked with a team to accomplish something. Quantify where possible, be succinct and cut the hollow phrases. 8. Keep revising. Don’t publish the ugly first draft. It’s better to have no summary than a bad one. When you’re happy with the summary after a few revisions, post it. However, you’re not done. You’ll keep tweaking and improving it as you gain more experience and new stories to tell. What advice do you have for writing a powerful LinkedIn Summary?